The transition from Jumps to Flat is now well underway, and this weekend we are treated to quality racing from both codes. Ayr host the Scottish National on Saturday, whilst at Newbury Expert Eye makes his eagerly anticipated seasonal bow in the Group Three Greenham Stakes. Vicente returns to Ayr searching for a third-straight win in the Scottish Grand National. 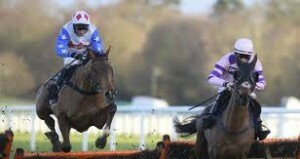 The Paul Nicholls-trained nine-year-old was set for a crack at Aintree but was withdrawn due to the testing conditions. With just three outings this winter, he should arrive fresh and ready for another huge performance. There’s no doubting the race suits, and he’s only 4lb higher in the handicap. He’s again partnered by Sam Twiston-Davies and it’s hard to imagine a finish without his involvement, though no horse has won with a rating higher than 146 in the past 10 years. Vintage Clouds also missed out on an Aintree trip, missing the cut by one place. The eight-year-old has had a fine season, winning once and finishing in the top four from his five starts thus far. He was a gutsy fourth in the Welsh National, proving his ability to see-out these marathon trips. He was seventh here last year, though is a more mature and stronger horse this time around. His handicap mark has crept up to 141 (134 last year) and though he’s in off a nice race weight of 10-12 it would be wrong to say that he’s well-handicapped. I fancy he’ll go close, though he lacks gears and is always likely to find one or two with a little more zip at the business end. Doing Fine is towards the head of the betting, and providing the rain stays away, looks to have a great chance at the weights. Trained by Neil Mulholland, this 10-year-old has twice finished in the top four of the London National at Sandown. He’s another that’s sure to arrive fit and well having not been sighted since December. Like Vintage Clouds, he’s likely to get a little outpaced at some stage, but I can see him finishing with a rare old rattle. He looks sure to go close. It’s hard to ignore Gordon Elliott and Davy Russell. Fresh from a successful Cheltenham Festival and a famous victory in the Grand National at Aintree, the pair are reunited, with novice chaser Fagan taking his chance. The eight-year-old has clearly had his health issues, with just five runs since his Albert Bartlett runner-up spot in 2016. Four outings over fences is hardly ideal when faced with 27 obstacles over a marathon four-mile trip, and his last run was way back in October. Taking on Elliott and Russell is a dangerous business, but I can’t see this fella winning. Ballyoptic is a talented novice who arrives here following a creditable fourth place finish in the RSA at Cheltenham. The eight-year-old is trained by Nigel Twiston-Davies and looks the sort that will thrive over this marathon trip. His race mark of 149 is plenty high enough for this, though looks fair on what he has produced thus far. He lacks a little experience with just five outings over fences, though his preparation for this, as opposed to Fagan’s, has been a smooth one. He looks a leading contender. The Young Master is another Mulholland entrant with a realistic chance. His handicap mark has dropped like a stone, and it seems incredible that at the age of nine (far from past it), he’ll run here off 132. A year ago he ran in the Grand National at Aintree off a mark of 150, and his last run at Cheltenham, following a wind-op, suggested he has much more to offer. Sam Waley-Cohen takes the ride, claiming 3lbs and bringing his race weight down to 10-0. He reminds me of the classy Wayward Prince, who won the race in 2015 having been similarly dropped by the handicapper. The Young Master last won a chase in April 2016, when landing the bet365 off a handicap of 148. I can’t resist taking him to win this off 132, especially at odds of around 20/1. It could prove quite a day for Mulholland as I also fancy Doing Fine to go very close. However, despite having to carry 11-7, Vicente must be other Keeling punt. Twice a winner of this, he’s sure to go close again, and his odds of 9/1 make him a cracking each-way proposition. Whilst the stayers slug it out in Scotland, Newbury play host to potential Classic contenders. Arguably the most exciting of these is Expert Eye trained by Sir Michael Stoute and ridden by Ryan Moore. Simply stunning in the Vintage Stakes at Goodwood last year, he then failed to spark in the Dewhurst at Newmarket. That run was too bad to be true, and Flat racing fans will be hoping for a return to form on his seasonal debut. Hey Gaman could prove his toughest challenger, having looked a more than useful juvenile, finishing runner-up in the Group Two Champagne Stakes. He’s beautifully bred, being by New Approach out of a Dubawi mare and looks a real danger to the favourite. The Fred Darling also looks a tasty renewal, with plenty of fillies hoping to put themselves in the 1000 Guineas picture. Gavota looks as exciting as any, and like Expert Eye, will carry the famous Khalid Abdullah silks. She performed well as a juvenile despite looking jus a shell of a horse. One would anticipate plenty of improvement from two to three, and a big performance here would not be surprising. Saturday at Cheltenham was life-affirming stuff for a National Hunt aficionado. Trials Day provided for top class racing, a "pattern interrupt" in the narrative, and some excellent rehearsals for the next meeting at the track, March's four day Festival jamboree. The headlines were rightly grabbed by Alan King, whose 122.75/1 treble courtesy of Smad Place, Annacotty and Yanworth confined Willie Mullins to a rare afternoon in the glorious midwinter shade. But if the likes of the first and last of King's Cheltenham treble, and Colin Tizzard's super staying hurdler, Thistlecrack, screamed their Festival credentials, others whispered their intent in altogether more subtle tones. First, the blueprint. A horse with at least a touch of class being targeted at a Cheltenham Festival handicap, whose final prep was on Trials Day. I have used an odds ceiling of 20/1 in both the Trials Day and Festival handicap races as a barometer of "a touch of class", so caveat emptor as regards whether you believe that sounds reasonable. Anyway, if you think that's fair, then consider that in the last three years, twenty horses went to post at 20/1 or shorter for a Festival handicap having been 20/1 or shorter on their prior run on Trials Day: a score at a score and a score. Their finishing record in the Festival handicaps was P52177P54P7P71173160. The four winners (20% strike rate) were worth a profit of 30 points at starting price, having been achieved at odds of 16/1, 11/1 twice and 8/1. The additional three placed horses (35% place strike rate) meant a profit of 34.12 points betting each way. The winning quartet were Irish Cavalier, The Druids Nephew, Lac Fontana and Rajdhani Express; and it may be especially worth noting that the first and last of those ran in the novices' handicap chases both on Trials Day and on the opening day of the Festival. Listing those horses who were 20/1 or shorter on Saturday is not really the route to insight. However, if we consider the fact that, for a fair few contenders, they will have been brought closer to concert pitch by their weekend 'gargle', that offers the chance to flex my bulging opinion muscle! This lad was sent off 3/1 favourite for the novices' handicap chase, and he ran an, erm, eye-catching race when a never nearer 17 length fourth. He's rated 152 so that discounts the 0-140 novices' handicap chase that closes the Tuesday Festival card; but a couple of pounds lower would set him up very nicely for a tilt at the Festival Handicap Chase (3m1f). He was a Grade 1 winner over hurdles in France as recently as last summer and is rated 163 in that sphere. A perch close to a stone lower over fences looks mightily attractive come Festival time, should connections opt for the handicap route. Even if they went for the RSA, he only has a few pounds to find on hurdle ratings, which might make the current 33/1 tempting (though, personally, I'd wait for NRNB if you like the look of that). In the same race, Jonjo O'Neill was giving this former French racer his first sight of UK fences, let alone Cheltenham's stiff obstacles. Given a very quiet waiting ride, Rezorbi was creeping into contention when unshipping at the second last. It looked a nasty fall but, if none the worse for it, this young fellow - only just turned five - looks a credible contender for the Novices' Handicap Chase off anything close to his Saturday mark of 138. It is hard to foresee the handicapper nudging him up, or indeed down, after a run where promise readily outpointed performance on the day. Another Jonjo jobber, Johns Spirit was second in the 2014 Paddy Power Gold Cup (having won it the year before), sixth in the King George of the same year, and fifth in last year's Ryanair Chase. Those last two runs were off a mark of 160, and the nine year old was lining up off just 148 on Saturday. With a known dislike of heavy ground, it is perhaps odd that his last two runs have been on the seriously sodden stuff. Perhaps odd, but probably not, because he's likely to get dropped at least three for this never nearer plugging on fourth. A rating of 145 would render him eligible for the Kim Muir, though that three and a quarter mile trip is probably on the long side. More likely is a tilt at the Brown Advisory Plate, in which he'd race off close to eleven stone. He's quoted for the Plate and the Ryanair, but you surely don't spend all year managing your mark to run in a level weights Grade 1. As such, the 25/1 available for the Plate looks a gift, albeit one without a refund policy should he fail to line up. The Cleeve Hurdle is a strange place for a good handicap chaser to show up, on the face of it at least. And yet it is the exact same hole that The Druids Nephew assumed prior to his decisive day one win in last year's Ultima Business Solutions Handicap Chase. TDN ran a well beaten fifth of six in the 2015 Cleeve, having already secured a chase mark with which connections were happy. TYM ran a well beaten sixth, and at 25/1 too. So, while he doesn't quite fit the blueprint, he probably has some potential from a handicap chase mark of around 148. He ran in the RSA Chase last year, and was found out, but back to handicap company - probably in the same race The Druids Nephew won - and on slightly better ground, The Young Master could show a good bit more interest. A general quote of 20/1 for the race reflects that view. There was a lot to like about both the winner and second's - Solstice Star and Cheltenian - performances here, but both revealed themselves still further to the 'capper with their ready ease on the eye. Back in third was the one to take from the race, as Paul Nicholls' former French inmate made a taking UK debut off a rating of 138. Frodon travelled like the winner through the race before blowing up as though in need of this and, as a four year old, he'll have the Fred Winter - for which he's currently 25/1, the same price as the same trainer's similarly ex-French Fred Winter winner last year - as his target. As well as Qualando, the aforementioned Fred Winter winner, Nicholls also bagged the Coral Cup with another ex-French recruit, Aux Ptit Soins, in 2015. Therein lies an emerging blueprint within a blueprint, and 25/1 may again be worth the chance, despite an alternative entry in the Triumph Hurdle and the lack of the non-runner no bet safety net. Newbury's Hennessy Gold Cup Chase is one of the biggest races of the National Hunt season, and probably the second biggest handicap of the jumps calendar after the Grand National. It is a race where winners usually need all of stamina, speed and class to prevail, and where weight-carrying heroics are commonplace. As we'll see when we look at the Hennessy Gold Cup trends. Hennessy Weight Trends: Classy horses win this race, with class often characterized by a sizeable weight allocation. Since 1997, the winner carried 11-04 or more on eight occasions; between 10-06 and 11-03 on five occasions; and 10-05 or less on five occasions. But the win strike rates for those groups were, respectively, 13.56%, 3.73%, and 4.06%. In other words, the higher weighted horses won more often from many less runners (59 vs 134 vs 123). That somewhat arbitrary split between the three weight brackets was based on an approximate division of the weights range into thirds. Looking at the place rates reveals a similar pattern: the lowest weighted horses placed 13.82% of the time; the middle weight band placed 21.64% of the time; and those classy beasts at the top of the handicap hit the frame 35.59% of the time. Hennessy Age Trends: It is often said that the best type with which to side in the Newbury showpiece is a young upwardly mobile horse. This makes sense - after all, younger sorts are less likely to have hit their ability ceiling and are thus more likely to be able to step forward on what they've already shown. The data back this up. Those aged seven or younger have won thirteen of the last eighteen Hennessy Gold Cups (72%) from 48% of the runners. Moreover, considering both win and placed horses, those young bucks bagged 69% of the each way positions too, from - obviously - the same 48% of runners. Indeed, simply backing those Hennessy horses aged seven or younger and carrying 11-04 or more since 1997 would have returned a profit at SP of 36.5 points to level stakes. Backing the 28 qualifiers each way would have bolstered the return to 65.62 points, albeit from twice the investment (win and place stakes). The sole qualifier on that 'no brainer' angle this time around is top weight and 4/1 favourite, Saphir Du Rheu. With seventeen runners slated to line up, it would be fair to assume there will be a deal of pace to proceedings. But actually there are few out-and-out pace pushers in the field. It may fall to The Young Master to take them along, a role he's adopted in half of his eight career wins. In the other half he was a close up player at the outset, so expect Sam Waley-Cohen to be sighted in the early exchanges atop TYM. Others who look like they'll show at the start if not necessarily sticking around for the duration include Fingal Bay and possibly Bobs Worth, Smad Place and First Lieutenant. In the circumstances, it may not pay to sit too far off a pace that could be less attritional than is often the case. And so to the form. With the ground perceived to be just on the easy side of good, there should be few excuses. Let's begin with Paul Nicholls' young favourite, Saphir Du Rheu. Aged six and winner of all three of his completed chase starts, he also has a couple of letters in his form string. However, since a tumble in the Kauto Star Novices' Chase at Kempton last Christmas, he has been impressive in sauntering to victory in two Class 1 races. The first, a Grade 1 at the Aintree Festival, was impressive; the second, a debut canter at Carlisle from the re-opposing The Young Master attested to well-being. As the highest rated in the field, albeit 'only' 163, and with just five chase starts to his name, Saphir Du Rheu can be expected to step forward on what he's shown to date. If he does, he'll be mighty tough to beat granted a clear round. For those unattracted by the price of the jolly, the next few all look solid if unspectacular propositions. Bobs Worth, now ten rising eleven, has a two from two record at this track, including victory in the Hennessy of 2012. He'd be a popular winner, for sure, but Hendo will need all of his wizardry to conjure an encore off just a seven pound lower mark than when the old brute was in his pomp three years ago. Since that victory, his rating soared to a career high 180 just five runs ago, but a subsequent 24 pound plummet is entirely justified on the basis of the first four of those interim efforts. However, most recently - and over hurdles - Bobs Worth hinted that the fire still burned when seeing off stable mate and fellow absentee, Simonsig, at Aintree earlier in the month. On the same price is last year's fifth, Smad Place. Still only eight, he'll be better suited by the expected slighter quicker turf, and ought to be close to the action throughout. My problem with him is that he doesn't seem quite good enough despite admirable consistency. Alan King's boy has never won in Class 1 company, and is only three from nine over fences. Again, it's not that he can't win, but rather that 6/1 is pretty unexciting. Philip Hobbs is having a mega-season, and the always-hot Minehead maestro saddles If In Doubt here. Wins in a decent beginners' chase and the Great Yorkshire Chase, a Listed handicap, marked him down as a progressive type last season, and there was little shame in an eight length defeat to Don Poli in the RSA Chase. He may have been over the top when pulling up in the Irish National, where he also endured a troubled trip so, making his seasonal bow, he can be expected to be fresh, well and progressive. Just seven, and with the considerable assistance of Barry Geraghty - Hennessy winner twice in the last three years - in the plate, If In Doubt looks better value than either of the 6/1 pokes at his general quote of 8/1. The Young Master is expected to give his running, with the prospect of a soft lead and some solid runs in the book. Those runs include a four-timer, the last pair of which were in Listed handicap chases (one when infamously disqualified from the Badger Ales Chase). There is a fair chance he was cooked for the season when only seventh of eight in the RSA Chase - tried to make all, faded badly - and that run is easily overlooked. His campaign started with a seven length second to Saphir Du Rheu and, while his vanquisher there was well in command at the finish, that was off level weights. Here, The Young Master gets a stone and two pounds, a weight concession that if not bringing them closer together by the lollipop should at least not see the margin of defeat extend particularly. 10/1 looks a pretty reasonable each way play. The other half of the Hobbs h-entry is Fingal Bay, a loveable barrel-chested animal who seems to have had his issues. Winner of the 2014 Pertemps Hurdle at the Cheltenham Festival - and off top weight too - he's clearly a classy chap on his day. But the belief he was a "chaser in the making" has still to be borne out, with half a dozen spins over fences yielding a solitary victory, as an odds on shot on chase debut. His quintet of defeats over the big'uns since includes when pulling up in this race last year, and there are just too many reasons to look elsewhere. He's probably capable of winning a Hennessy, especially off such a light weight, but 14/1 is a swerve. At bigger prices, the stable form of Colin Tizzard's yard makes Theatre Guide worth a second glance. Third on his first run since the spring, a Listed handicap chase, he filled the same position in the 2013 Hennessy when beaten just four lengths by Triolo d'Alene. Off a six pound lower mark this time, he may have been a victim of a pretty tough time for the yard last season when many stable stars were running as if under the weather. At 20/1, he's worth a punt win and place that he's back to the Theatre Guide of 2013, for a trainer in fine fettle. I find it hard to make cases for the likes of First Lieutenant - surely over the hill now - and Urano, who has never reached the top of the hill; while Ned Stark is a likeable plodder but ought not to have the class for this. Houblon Des Obeaux must get a mention. Last year's second is just a pound higher this time around, and was a fair sixth the year before. Obviously, he's got little in hand of the 'capper, but looks a reliable sort likely to run another honest race. I don't want 14/1, but maybe you might. Completing a strong two-pronged assault on the race for Neil Mulholland is The Druid's Nephew, a winner at the Cheltenham Festival in March. That effort propelled him a further ten pounds up the weights to his current perch of 156 but it would be reckless to suggest he's done improving despite taking his place for a 15th time in a chase race. His hurdles pipe opener the other week can be ignored and this will undoubtedly have been the plan all along. I'd rather take 14's about him than most. My shortlist for the race comprises Saphir du Rheu, If In Doubt, The Young Master, The Druid's Nephew and Theatre Guide. Not known as a favourite backer, it is nevertheless very hard for me to overlook the credentials of Saphir du Rheu, and he must be at least saver material. In fact, I'm backing him to win a few quid. Two of the other four on my shortlist - If In Doubt and The Young Master - retain plenty of upside over fences, though both are priced accordingly. Marginal preference is for The Young Master who could get the run of things in front and may consequently prove pretty tough to pass. And both The Druid's Nephew and Theatre Guide may have more to offer than many with 14 and 15 runs respectively over fences, with neither discounted lightly. The form of the Tizzard stable, and an offer of 20/1, draws marginal preference. The Young Master came off second best to Saphir Du Rheu at Carlisle on Sunday, but Neil Mulholland will be far from downbeat, especially after notching up an impressive winner at Wetherby 24 hours earlier. Southfield Royale looks a novice chaser with a bright future, having romped to a comfortable victory in the three mile novice chase. Only his second effort over fences, he clearly appreciated the step up in trip. Often jumping slightly out to his left, he was nevertheless accurate at his obstacles and is clearly a horse capable of making a big impact this winter. Mulholland will still be hopeful that The Young Master can win his fair share of races. His current handicap mark looks a workable one, and it would be no surprise to see him land a decent handicap in the coming months. The trainer has a number of useful chasers in his care, none more so than Grand National hopeful The Druids Nephew. The eight-year-old was slightly disappointing over hurdles at the weekend, but prior to that had fallen in the Aintree showpiece back in April, when holding every chance late into the race. He’s likely to head for the Hennessy later this month, having finished seventh in last year’s renewal. The young trainer is building quite a team at his Conkwell Grange Stables, based just east of Bath. Very much a journeyman jockey, he rode for numerous trainers, gathering a wealth of experience along the way. 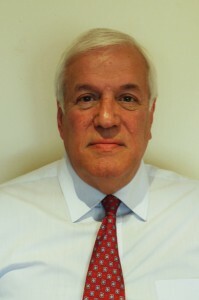 Mulholland turned to training in 2008, and started putting all those years of experience in to practice. Last season yielded 63 winners, a cracking total for a yard progressing at a rate on knots. With more than 80 horses in training, the yard continues to develop, and a few new additions have already made an impact. Fox Norton is one in particular who must be exciting his new trainer. Formerly with Nick Williams, the youngster was a promising juvenile hurdler, but always had the look of a chaser. Two from two over fences, his last run at Market Rasen gives hope to an exciting season ahead. He gave a stone and a beating to Phillip Hobbs’ Golden Doyen, who himself looks a novice chaser with a bright future. Along with an army of chasers, Mulholland may well have a hurdler worth following. Shantou Village was a stunning winner of a novice hurdle at Carlisle during October. Back in March the five-year-old was an impressive winner of a bumper at Wetherby. He looks a talented recruit and has the potential to take high order this winter. Currently one of the best young trainers around, I’d expect another exciting campaign from the man from Bath. Small fields for jump races have been the talking point in the racing press these past few weeks. It seems the bookie chaps don’t like them, but several contests of that variety spiced yesterday’s pre-Christmas card at Ascot and it seemed the punters minded not a jot. Analysts of racing’s well-being would be best served by ignoring the Ascot model. Those purists (in other words trainers in middle-age inhabiting a smallish town on the borders of Suffolk and Cambridgeshire) still seem shocked that the Champion Stakes has been frog-marched 100 miles (Google says 99.9!) south-westerly to the Royal racecourse. But the look almost of disbelief on the face of Nick Smith, Ascot’s unstinting pursuer of top overseas horses to run in the major Flat races run there through the year, as he tried to negotiate the throngs of humanity up on the fourth floor yesterday, spoke volumes. I’ve referred at least once this year to Ascot’s appeal that transcends the racing. Why would otherwise sane people pay £30 a head to go into the Premier Enclosure, for that’s what you need to get past the men at the foot of the escalators on Concourse level, and then not stray more than the few yards between bar and betting point for the entire afternoon? Yet they do, as did a couple of my pals, Steve and Kevin Howard, with their other halves, celebrating Steve’s birthday in what has become an annual ritual. They found a table, incredibly, to park their gently ageing limbs, with a nice telly in perfect view and then joined most of the crowd in wondering just how Zarkandar failed to hold the rally of hat-trick hero Reve de Sivola and Daryl Jacob in the JLT Long Walk Hurdle. At ground level, it seemed the disbelief stretched as far as Paul Nicholls as he walked alongside Sam Twiston-Davies and the horse back to unsaddle. “He won’t last in that job”, opined Steve later on the way back to Billericay, probably echoing Jacob’s thoughts as he pondered the might-have-beens after his own short stint trying to fill Ruby Walsh’s boots. You can understand why Ruby decided to abandon the regular commute from Ireland, leaving only Barry Geraghty as a two-country regular. Yesterday at Fairyhouse Ruby won three of the first four races (two steering jobs) for Willie Mullins and was home in time for tea. The crowds in the stands were generally well dressed and well behaved, if a little seasonally over-excited in some instances, but the atmosphere was genial and the emphasis elsewhere was on family. Youngsters with smiley faces abounded and there was an after-racing session of Christmas carols, led by and sung with enthusiasm exceeding accuracy by someone, I believe, imitating the REAL Father Christmas. There must have been a risk that food and drink might even have run out, strangely given Ascot’s experience of catering for huge attendances. Steve related on the way home that one man, buying a bottle of Laurent Perrier Pink champagne, had already stumped up the requisite £108 when told (A) that there was no ice bucket available, so he would need to consume it warm, and (B), “sorry we’ve run out of champagne glasses, so you’ll have to take wine glasses”. He did, hope he and his friends didn’t mind the warm fizz – they probably didn’t notice by that stage in the proceedings. One race after Reve de Sivola/Zarkandar, we were treated to yet another of those brilliantly-efficient Geraghty rides as The Young Master dominated in the Mappin & Webb Silver Cup. I tend to work from the three-monthly parts of the BHA’s programme book, and the page covering Ascot, sent out in the summer, revealed this as a 50 grand race with just over £28,000 to the winner. In the event it was doubled to 100k with £56,000 to the winner, who had been the unwitting victim of one of the crassest blunders in racing administration of recent times, being allowed to run in a race for which he was not qualified. That Badger Ales Trophy on November 8 was worth £34,000, and having efficiently seen off 17 rivals on what was only his third chase start, the five-year-old not only lost the prize, but got the added “benefit” of a 14lb hike in his rating. Doubly jeopardy indeed! 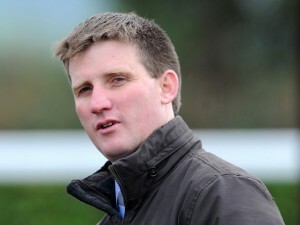 Neil Mulholland and the horse’s owner made a few grizzly noises at first, but the trainer got on with it as he had to as while Weatherby’s should have spotted the ineligibility, it is ultimately the trainer’s responsibility. The case of The Young Master is the latest example of why it is never impossible for the impossible to happen in racing. As recently as mid-November last year, the gelded son of Echo of Light had raced 12 times without success on the level and over hurdles. Then at Fontwell, in a staying novice handicap off 94, he won for the first time, triggering a sequence of ten races in which only twice did he fail to pass the winning post in front. First at Exeter, a week after the Fontwell win, he fell when still in contention. Then, after successive victories, two each on the Flat (Southwell, Kempton) and over hurdles (Fakenham, Sedgefield) he trailed home 10th of 11 in another Kempton handicap. That ended a hectic winter programme, but the young trainer was saving the best for later. Reappearing in September in a novice chase under A P McCoy he was impressive in running away from three rivals at Worcester, earning the same 121 mark over fences that his hurdling exploits had deserved. The following month he graduated to a Cheltenham amateur riders’ race, again winning convincingly, and the 130 rating was nowhere near enough to stop him at Wincanton, even if the regulations were. So it was off to Ascot, 14lb higher, and despite a tendency to jump wildly left, unobtrusively corrected by Geraghty, The Young Master completed a rise of Hunt Ball proportions, eerily in the week that Hunt Ball’s one-time owner Anthony Knott collected a three-year ban from the sport. I don’t know if we can hope Ray Tooth’s stylish Tuesday Catterick winner Notnowsam will ever grace such stages as Ascot and Cheltenham, but this likeable young stayer gave us a nice Christmas boost which we hope Warren Greatrex’s April Dusk might add to over the holiday period. He won his only Irish point in the spring and is shaping well, by all accounts. Then it’ll be New Year’s Day at Musselburgh for Dan Skelton-trained Adrakhan, who showed much more when a good runner-up to Chatez at Warwick on only his second lifetime start. It might be a bit early to hope for another Punjabi to emerge, but as The Young Master’s connections will tell you, anything’s possible. https://www.geegeez.co.uk/wp-content/uploads/2018/09/geegeez_banner_new_300x100.png 0 0 Matt Bisogno https://www.geegeez.co.uk/wp-content/uploads/2018/09/geegeez_banner_new_300x100.png Matt Bisogno2014-12-21 09:21:152014-12-21 09:21:15Sunday Supplement: "Why the impossible is never impossible in racing"